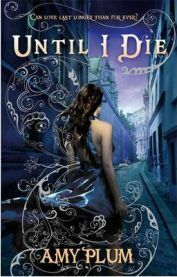 Until I Die is the second novel in Amy Plum’s Die For Me series. In the first novel, Die For Me, we were introduced to Kate, our heroine, an American who moves to Paris with her sister Georgia to live with their grandparents following the death of their parents. Kate meets Vincent, and is soon drawn into the world of the revenants, of which Vincent is one – undead beings who die over and over again saving human lives, always coming back to life at the age at which they originally died when human. Until I Die continues the story. Kate has been accepted by the revenant community, but things aren’t easy for her and Vincent. With her unable to bear the thought of living through his death again and again after what happened to her parents, he has promised to resist the compulsion to die, something which causes him suffering.